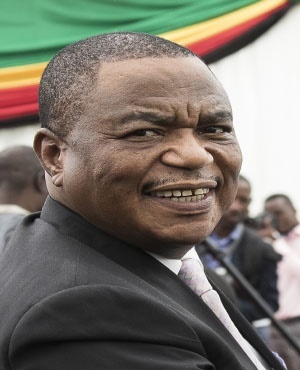 Vice-President Dr Constantino Chiwenga has said United States sanctions on Zimbabwe, which were renewed last Wednesday, will only serve to give the incoming Government oomph to rebuild the economy. In an interview with The Sunday Mail here, he said the Zanu-PF Government believed dialogue was the best way to deal with inter-state differences. Sanctions, the VP said, would hurt the vulnerable, and as such Government would work extra hard to turn the economy around. “It’s an unfortunate situation if America has renewed its sanctions; to renew against what? That Zimbabwe must not be built? We will go ahead to rebuild our country. They can say whatever they want, but what we want to do is to prove them wrong, that it is not correct (to unilaterally impose sanctions),” said VP Chiwenga. He went on: “Every country on this Mother Earth, you know, has people and it is those people that sometimes make mistakes, but a country cannot be punished because of a mistake that has been made. Zimbabwe, he said, would emerge stronger from the sanctions. VP Chiwenga also said Zimbabwe’s developmental agenda was being held back by indiscipline. “What we did not have is discipline; there was no discipline amongst ourselves as Zimbabweans, because there is nothing which stops us from succeeding as Zimbabweans across the board. “Do we have to go to school, for instance, to clean our streets, to be smart, to be proud about being Zimbabweans? ‘‘You travel, you don’t see litter thrown everywhere, you don’t see people doing things aimlessly. But we need to demonstrate now that we are Zimbabweans,” he said. Comrade Vice-President Dr Constantino Chiwenga PhD (Univ. of ZW) – formerly of the ZW army. Also known to use face lightening creams to whiten up – why ? ?